Diamond Platnumz is no longer in Zari Hassan’s life. 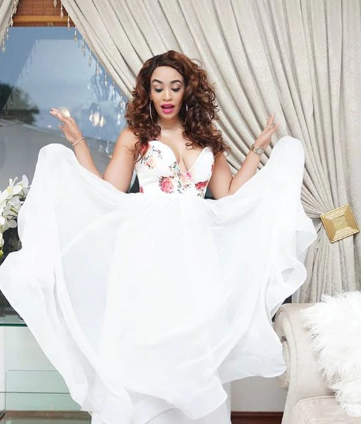 Her former hubby, Ivan Ssemwanga is no longer in this planet so Zari plays a big role when it comes to raising her kids. She took to social media on Sunday to share a confusing message which left fans trying to decode the meaning. The mother of five wished herself and Ivan a happy Father’s Day but completely ignored Diamond in her post. “Happy father’s day to me and the late Don….. Gone but you still here for us in all possible ways. We miss you!” read Zari’s post. This comes a day after Diamond Platnumz sent a message to his children Tiffah and Nillan explaining the reason he could not make it to South Africa to celebrate Eid with them. Zari of course was not happy. She has been complaining that Diamond has been snubbing her kids and even at one point called him deadbeat.